RelatedUFC Fight Night 133 pre-event facts: Blagoy Ivanov in rare spot for debuting heavyweight It's Volkanovski's first appearance stateside after quartet of wins on or near home soil. His team lobbied hard to take a step up in competition and agreed to a longer layoff for the chance to face Elkins, who's perhaps the division's most durable competitor. Elkins also is the No. 6 fighter in the USA TODAY Sports/MMAjunkie MMA featherweight rankings. Volkanovski's excitement is mixed with gratitude as he readies himself for Saturday night. “Elkins didn't have to take this fight,” he said. “He should definitely be ranked higher. You've got Mirsad Bektic ranked higher, and he beat him; he's on a six-fight win streak. It's crazy how it works. “But I've got a lot of respect for him for taking the fight. I think it was a very bad decision on his half. 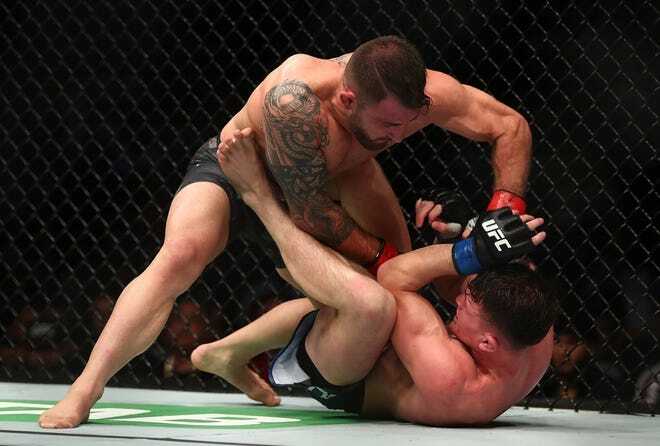 He's very good at breaking people, but I don't break.” Competitively, Volkanovski views himself as a better version of Elkins, able to take and give punishment in deep waters and still come out successful. Yet he's confident he won't see a third round against the hard-nosed Elkins.